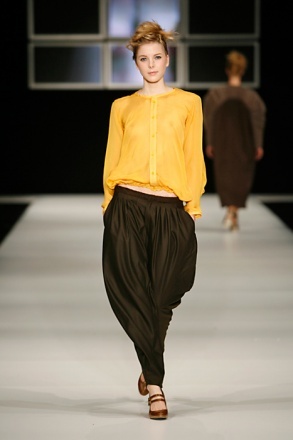 The famous Fashion Institute Arnhem introduced four new talents at the Amsterdam Fashion Week. 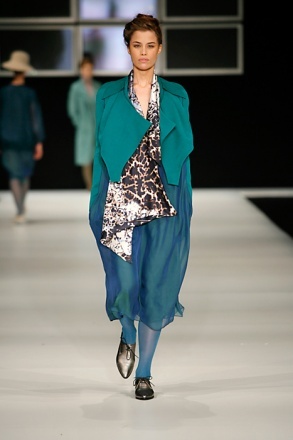 First was Lifu Hsiao with a collection inspired by the Art Nouveau. Second was Sanne Schrijver, who went for big, round and voluminous shapes. Then there was Julia Eichler with an upbeat collection inspired by African Art. 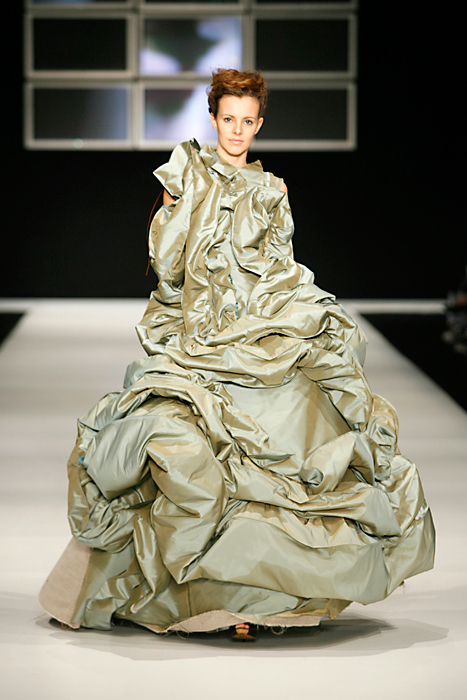 Claes Iversen closed the show with great dresses but all with a little (or huge) mis-shape or mis-form. The result was stunning: how beautiful ugly can be!